In India, she explained, Zoroastrians are called Parsis (literally, “Persian”) in reference to their Persian ancestry. 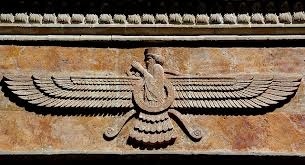 Zoroastrianism was Iran’s primary religion until the mid-seventh century, when Islam was imposed on the country by conquering Arabs. Many Zoroastrians fled to India to avoid forced conversion and discrimination. Today, Iran counts some 30,000 Zoroastrians; those who practice openly face persecution and are considered second-class citizens. Still, I urged Shireen to visit Iran and explore her heritage. But my encouragement was a painful reminder that I, born and raised in Iran, hadn’t been back in 14 years. After being arrested and jailed in 1999 for reporting critically on the government, I fled to write and work freely. I wasn’t certain I could visit anytime soon. Feb. 11 marks the 35th anniversary of the revolution that overthrew Shah Mohammad Reza Pahlavi, in power since 1941, and established an Islamic state. Ayatollah Ruhollah Khomeini, who led the revolution and subsequently became Iran’s religious and political leader for life, promised justice, democracy and the rule of law. In an attempt to eliminate what he perceived as Western corruption, Ayatollah Khomeini mismanaged the economy, setting back development and widening the gap between rich and poor — while engaging in a devastating eight-year war with Iraq. The missteps continued under President Mahmoud Ahmadinejad, who beat the anti-Western drum despite harsh sanctions that left many Iranians impoverished. In the 35 years since the revolution, millions of Iranians have emigrated. Some left seeking freedom of expression, others to escape religious persecution or even execution. Of the approximately 100,000 Jews in Iran at the time of the revolution, only 20,000 remain. They, like Shireen’s ancestors, no longer felt welcome in their homeland. Today, despite promises by the new president, Hassan Rouhani, to protect the freedom of ethnic and religious minorities (and the appointment of an aide to focus on their affairs), the persecution continues. Baha’is, the country’s largest non-Muslim religious minority, are widely referred to as infidels and prohibited from practicing openly; their children can not attend university. Still, a strong sense of nationhood endures. The Persian empire, which at its peak stretched from North Africa to Central Asia and the Indian subcontinent, boasted a wide array of ethnicities and religions. While these groups maintained their individuality, they also became part of a greater whole. Like the beloved carpets replete with flowers, colors and patterns, Iran is a fabric of cultures and faiths woven to create a pluralistic society. The different ethnicities and religions are its flowers and colors; the carpet is beautiful because of their variety and distinctiveness. This deep sense of connection was not born overnight. And it cannot be destroyed in 35 years. Unlike in Lebanon, Pakistan or Afghanistan, sectarianism does not play a major role in Iran. Indeed, ethnic groups are so well-integrated that they include some of the nation’s most important figures. Ayatollah Ali Khamenei, the current supreme leader, is an ethnic Azeri. But this is neither protested nor trumpeted as an achievement. When Saddam Hussein attacked predominantly Shiite Iran in 1980, he believed that Arabs in southern Iran, who are mainly Sunni, would welcome his army onto Iranian soil. But this was a grave miscalculation. Instead they used their bodies to block Saddam’s troops — not necessarily to defend the ayatollah, but out of love for their country. Tehran’s decades-long pressure on Iranians to forget their pre-Islamic history and accomplishments has only generated increasing resentment. As the regime celebrates its 35th anniversary, I know that my people are preparing to fight back in March by celebrating Persian New Year, or Nowruz. The government strongly discourages Nowruz celebrations, given the holiday’s Zoroastrian roots. Still, last year, thousands of Iranians traveled to Shiraz, a southern city considered one of Persia’s oldest, and the nearby ancient site of Persepolis, to celebrate near the tomb of Cyrus the Great. Last month, a temporary international agreement on Iran’s nuclear program took effect. Many hope that this reflects a changed Iran: one that understands that it can’t endlessly antagonize the West, and is willing to make concessions. But real change will only come when the Islamic Republic extends concessions to its own people, welcoming all of them to live and practice what they believe. This is what our nation’s history tells us: A revolution can only reflect victory if it includes all people of Iranian heritage. Camelia Entekhabifard, the author of “Camelia: Save Yourself by Telling the Truth — a Memoir of Iran,” reports on Iranian and Afghan affairs.